The rules for selecting the leader allow for ideological polarisation by simply stating a threshold of supporting MPs rather than a fixed number of candidates. Conservative Party rules require that MPs go through successive ballots until they submit only two candidates to the membership. Conversely, the Labour Party only required 35 signatures from MPs to run for leader. This means that, theoretically, the last election could have had up to six different candidates (it had four). 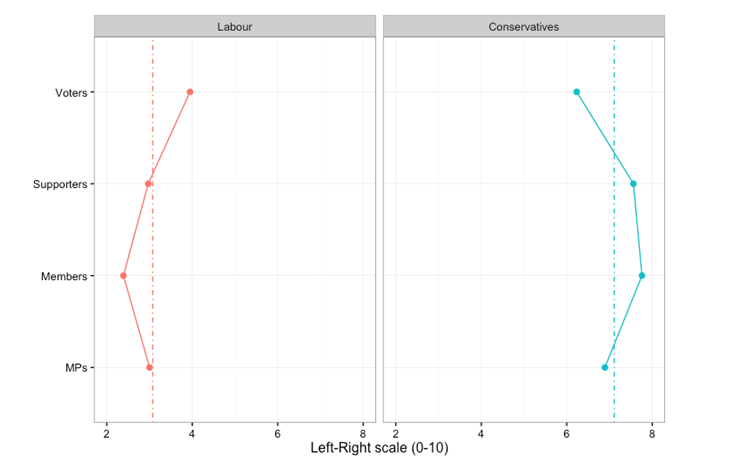 Instead of forcing an election between candidates who reach to all sections of the party (voters, supporters, members, and elites), the rules allowed for more polarisation which, as we see above, favoured the position of members over the rest.